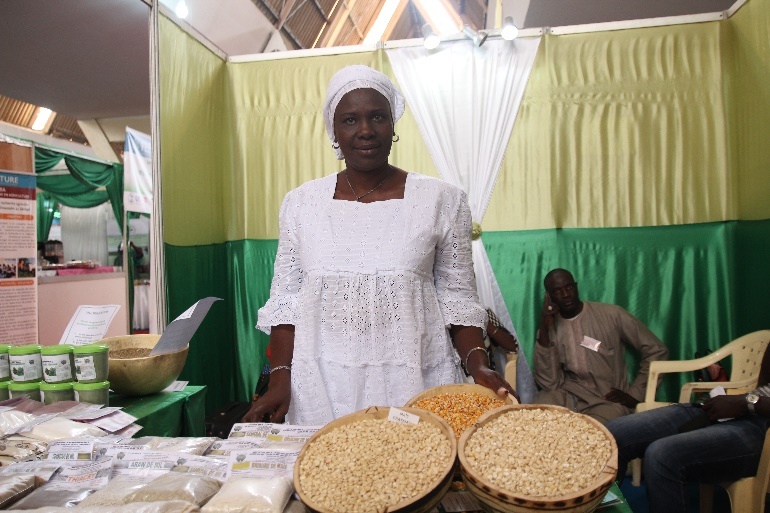 SPRING/Senegal partner, Mme Amy Sarr Ndao, shows of high-nutrient, biofortified Obatampa maize. 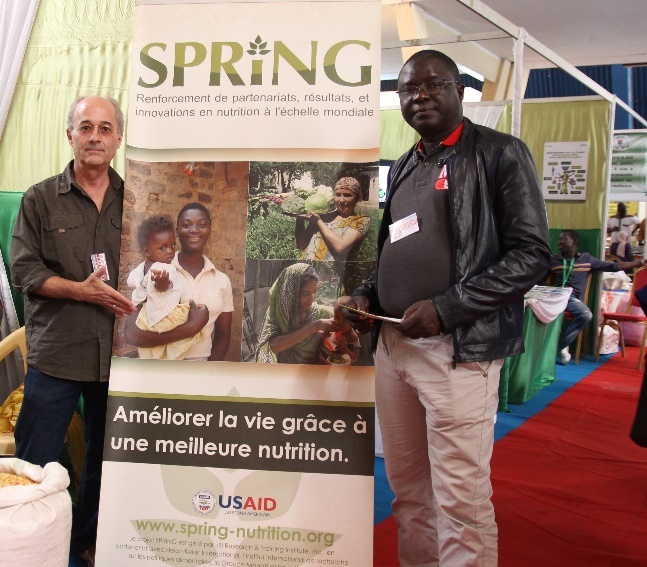 SPRING/Senegal Chief of Party Bob de Wolfe and Agriculture Advisor Aliou Babou attend the fair to speak about the project’s activities. 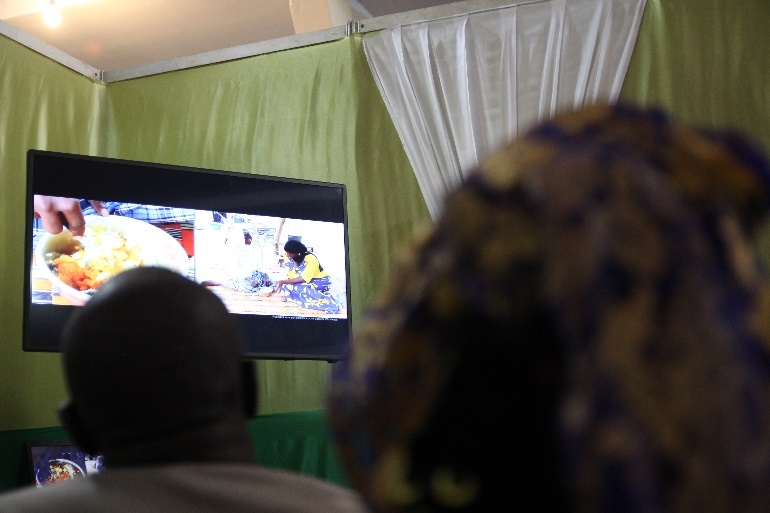 Passers-by stop to sit and watch a community video on the benefits and use of orange-fleshed sweet potato. 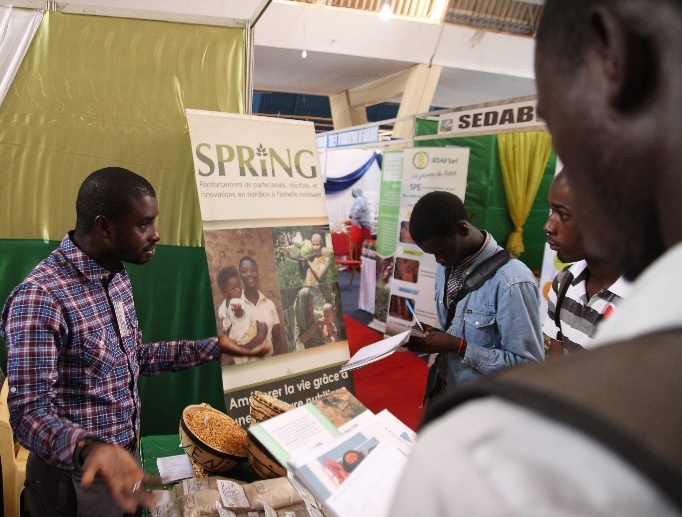 Ibrahima Ly, SPRING/Senegal social mobilization officer, explains SPRING’s multi-sectoral approach to visitors.